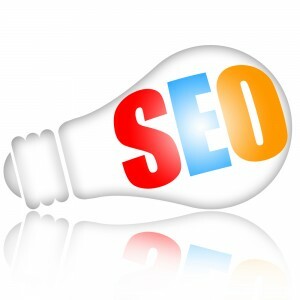 Neglecting your Search Engine Optimisation could be costing you valuable business! However, SEO can be very time consuming and unless you’re very SEO savvy, it can be a difficult thing to master and understand. This is why a lot of businesses outsource their SEO needs to a vendor that can provide SEO Agency Services. If this sounds like you, or if you simply just need a bit of assistance with your SEO, this 6 minute SEO checklist will help you ensure your site is SEO compliant. 1. Are your keywords working? Having effective keywords is the most essential component of your SEO. Have you conducted thorough keyword research? Have you chosen the right keywords to suit your business and do they put on the same page as your competitors? Are your keywords used well throughout your content and blogs? If not, you may want to develop your content further or contact an SEO Agency with a range of SEO Services that can rework your content around your keywords. 2. How effective are your domain name & page titles? One of the best ways to boost your traffic and web rankings is to include your keywords as part of your domain name/URL and in the title tags of your website pages. If your keywords are not used in both of these, chat to your web developer about improving the keywords used in your coding. However, domain name keyword URL’s for your brand are not always (or should not be) appropriate. Don’t forget to highlight your keywords using the heading (<h1>) tags as well. 3. How balanced is your text vs. graphics? Is your content of high quality? Sites that feature good, user-friendly design will always rank higher than sites that are poorly designed. Redoing your web design can be a big job, though, so if you’re unsure about how effective your website is, chat to a good SEO web designer or SEO agency who can advise you on how to adjust your website to make it more SEO friendly. Make sure your text and graphics are well balanced and that there is high-quality content on each page. Too little text will result in low rankings, as will text that is badly written. 4. Are your pages linked? Adding internal links to your pages can add a lot of value to your website. Include links on your homepage to other, key pages of your site and use keywords where possible, both in the copy and in the code. Learn more about internal linking at SEOmoz here or chat to an SEO Agency about improving your cross-linking. 5. What about Incoming & Outgoing links? Similarly, incoming and outgoing links also help to increase your site’s value, but too many of these can also decrease it. To begin with, create some outgoing links to valuable websites that you may have partnered with or that you feel are relevant to your business. Changing your links regularly will also help keep your content fresh and your site up-to-date and relevant. You can also work with an SEO Agency to create lots of inbound or back links to your site, which can also greatly improve your website rankings. This can be done by guest blogging, social bookmarking or “swapping” links with other websites you’re connected to. Although swapping links really is quite redundant in this day and age. However, beware of link farming, which could land you in trouble and lead to your website being devalued and heavily penalised by Google. Many SEO Services are focused around creating back links to enhance rankings, so if you don’t have time to manage this, look for a company who can do it for you. 6. Have you listed your company contact details? Making your business location focused with Google Maps can also help enhance your rankings. Include your full business address on your ‘contact’ page along with any contact details and a Google Map of your business location. When users conduct searches, Google will use your Google Maps location to assist in determining the relevancy of your site. In short, a spot on Google Maps means a better chance of being found online. Still confused or just don’t have the time to do all this? Our SEO Agency based in Sydney has a huge range of SEO Services that can really boost your traffic – and your Google rankings. Contact us today for more information if you need a hand!